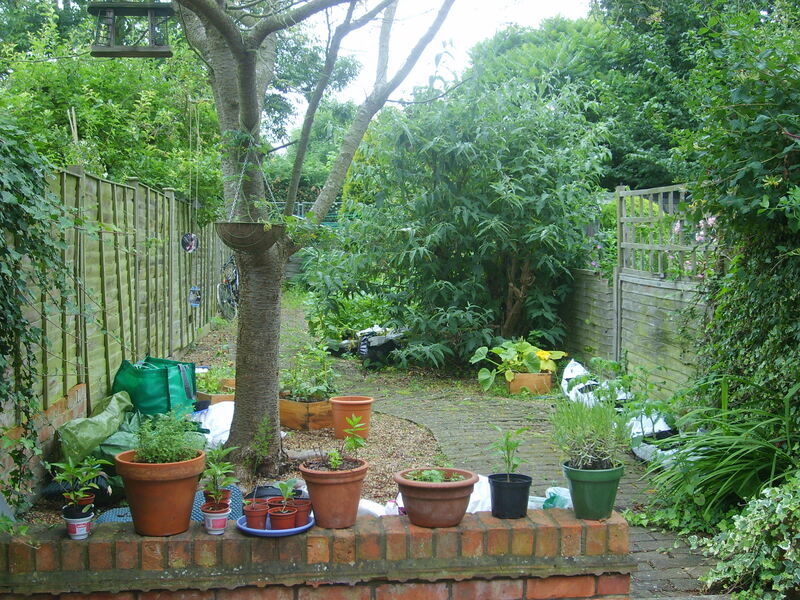 Yonks ago now, I was looking for a photo of my garden to send to Pattie for her Victory Garden Drive and idling through the folder on my computer (self-deprecatingly called ‘Hippy Photos’) where I keep photos relating to gardening, knitting etc and came across an old one of the garden when we first moved in. I acquired boxes and plants grew so slowly that I never noticed it changing, and I’m now so used to it being chock full of green things, but what a contrast! 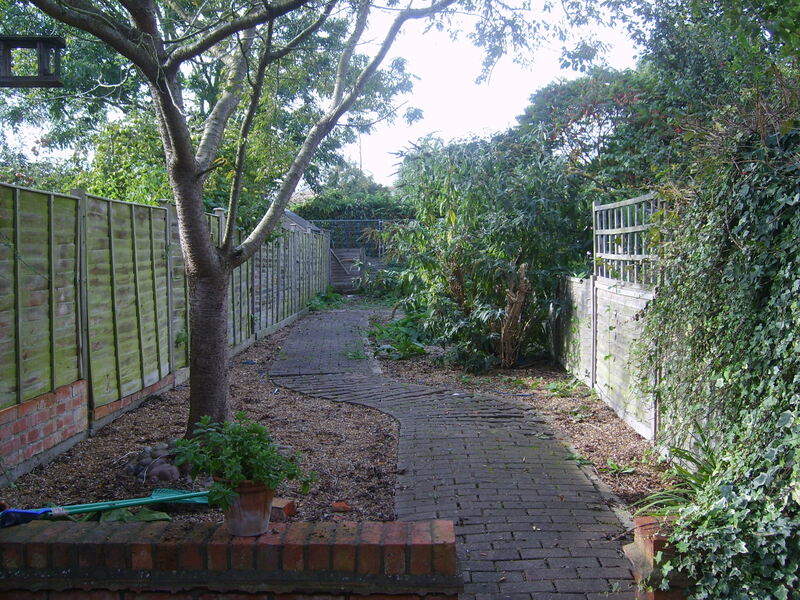 This was the garden when we moved in.